At low tide, Spring Island’s shoreline becomes alive with colours and movement. Tiny sculpins busily move around the marine algae in tide pools alongside a myriad of other invertebrates, while crabs play hide-and-seek in the exposed seagrass beds. From shore, shiny black heads can be seen at the surface of the water. 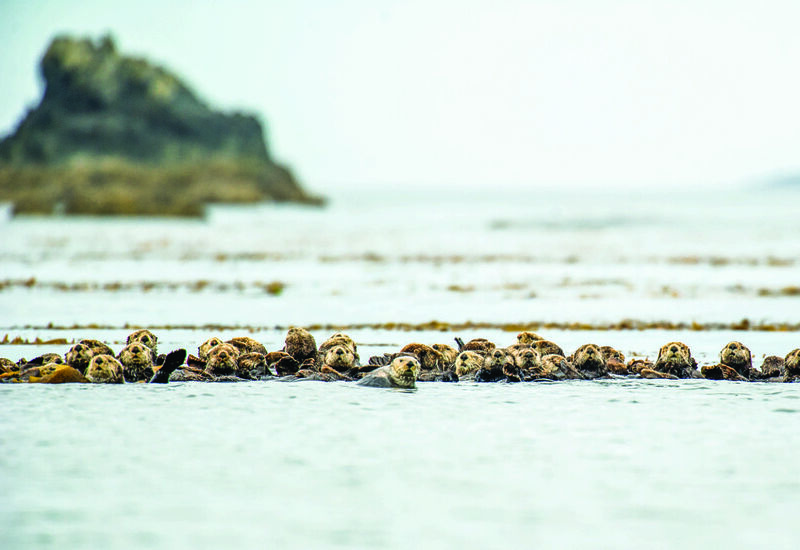 They could easily be mistaken for bobbing kelp floats, but binoculars reveal a raft of about 120 sea otters. Spring Island, located in the Mission Group of Islands off the west coast of Vancouver Island, is near the Checleset Bay Ecological Reserve and the First Nations village of Kyuquot. 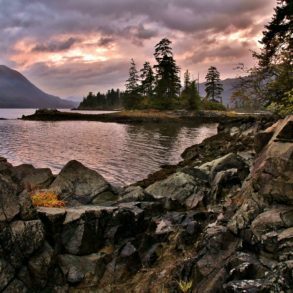 The island, which boasts an intact old-growth rainforest with giant Sitka spruce trees and Western redcedar trees that are over 1,000 years, is also in the heart of sea otter country. Hunted to extirpation by fur traders, sea otters were absent in British Columbia by the 1930s. Between 1969 and 1972, 89 otters from Alaska were reintroduced to Checleset Bay. Since then, otters have made a remarkable comeback. 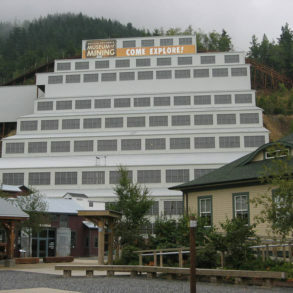 Their numbers and range have expanded rapidly, and there are now nearly 7,000 animals along the west coast of Vancouver Island and the central coast of B.C.Ironically, Spring Island—where the otters are now a regular sight—was named after Captain William Spring who was involved in the fur trade up and down the Pacific Coast and contributed to the decline of fur seal and sea otter populations in the late 1800s. Biologists describe sea otters as a keystone species, meaning that as they come back, they are transforming the environment around them. Unlike other marine mammals, they do not have a layer of blubber to keep them warm. Instead they rely on their dense fur coat for insulation against the cold. Because of their higher metabolic rate, sea otters must eat up to a quarter of their weight daily to meet their energy requirements. When they first arrive in an area, they eat all the selfish they can: sea urchins first, but also abalone, mussels, clams, crabs and snails. The otters’ voracious appetite has profound implications for the local ecosystems. In an environment where otters are absent, sea urchins thrive and eradicate kelp beds. When otters move in, they devour the urchins and kelp forests flourish as a result. A study led by marine ecologist Russell Markel found that kelp forests were nearly 20 times larger on the west coast of Vancouver Island after otters eliminated red sea urchins. Kelp forests provide cover and food for many invertebrates and fish, help reduce coastal erosion and capture carbon. “Sea otters are a huge drivers of change,” says Erin Rechsteiner, a research ecologist at the Hakai Institute and a PhD student at the University of Victoria’s Applied Conservation Science Lab. Otters’ impacts on coastal ecosystems can be far-reaching. For example, Rechsteiner found that in areas where otters had been established the longest—like the Kyuquot region—there were more oystercatchers than in areas where otters had arrived recently. Oystercatchers are large black shorebirds, easily recognizable with their long bright, red bills. Rechsteiner suspects that as otters pull bunches of large mussels off the rocks, this creates bare patches where juvenile invertebrates can settle and grow, which in turn feeds the oystercatchers who cannot eat the larger mussels. The return of sea otters seems to benefit a range of animals, small and big. Coastal wolves that patrol the Mission Group of islands are able to include sea otters on the menu of their marine diet, while harlequin ducks follow sea otters in the wintertime, also hoping for a good meal. Unlike the shallow-diving ducks, otters can dive down more than 20 metres to retrieve sea urchins and other invertebrates off the seafloor. They bring back their catch to the surface, often lying on their back with food on the chest, while they eat and handle prey. Sea urchins are normally too large and too deep for the harlequin ducks to get themselves, but when the sea otters crack open the urchins at the surface, the ducks enjoy the urchin scraps in the otters’ wake. Because urchins are very nutritious, it helps the birds make it through the winter. “The sea otters provide this really cool prey subsidy to the ducks,” says Rechsteiner. The long-term influence of these ecology wizards on the landscape is still not entirely understood. For example, when otters dig seagrass beds to find clams and leave foraging holes behind, they may be oxygenating the soil and helping the seagrass grow faster. On the other hand, the disturbance they create may contribute to releasing carbon buried in the sediment into the atmosphere. 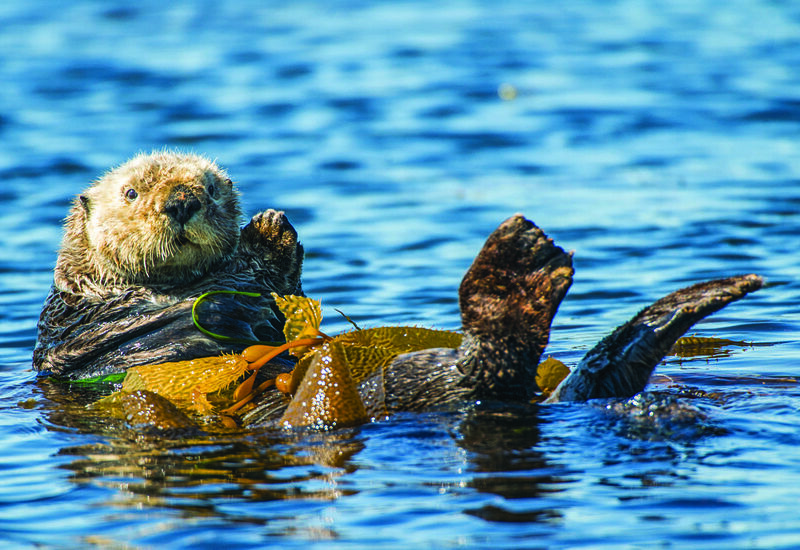 “The jury is still out as what the seaotter’s engineering impacts are going to be on seagrass beds,” says Margot Hessing-Lewis, a marine ecologist at Hakai Institute who studies interactions between sea otters and the linkages between nearshore habitats such as seagrass beds and kelp forests. 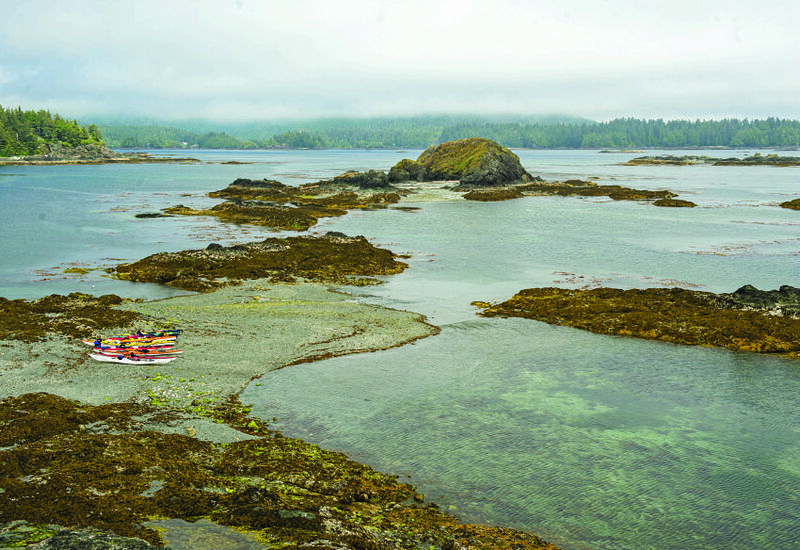 When Pinel leads land-based and kayak tours off Spring Island, he points to the multiple interactions between the sea otters and the local ecosystem, as tourists spot a flock of oystercatchers on a small rock or take notice of the healthy seagrass beds in the intertidal zone. 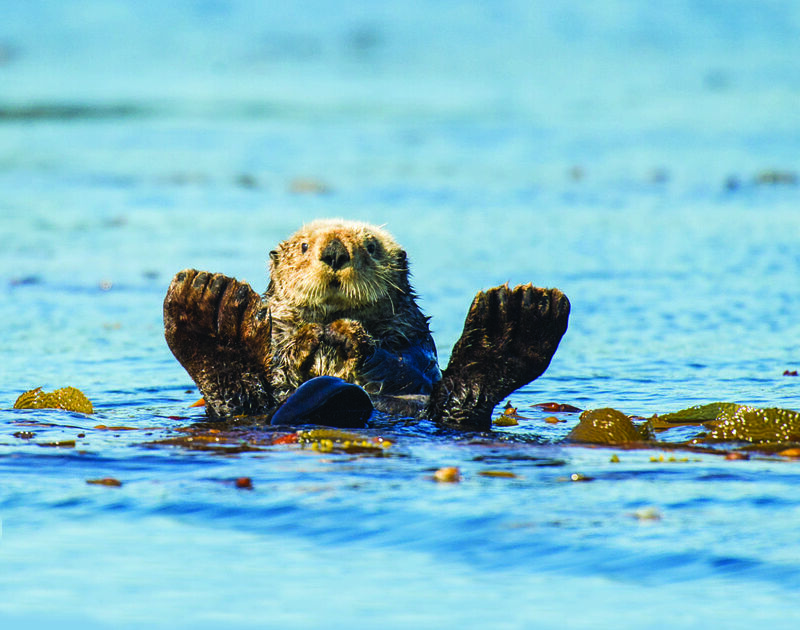 On land, visitors may also notice beach-cast kelp, another potential sea otter effect. 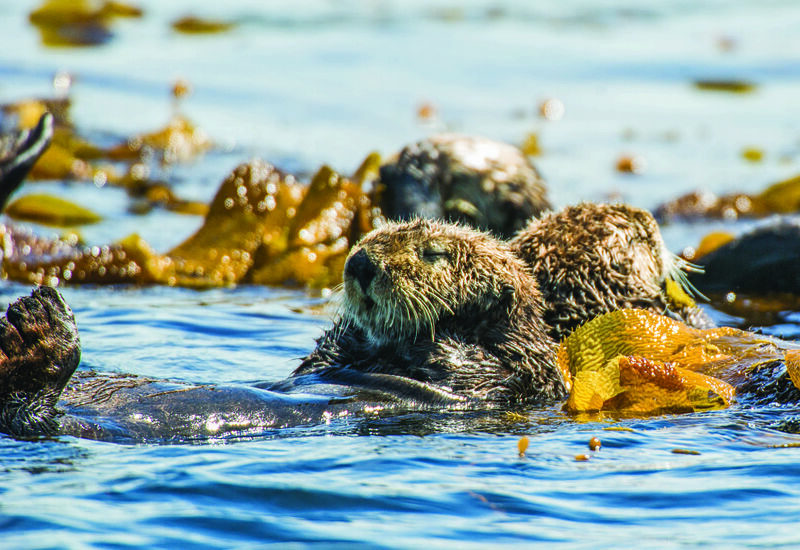 “It seems there is much more beach-cast kelp in areas with sea otters,” says Rechsteiner. She suspects that kelp that wash up on the shoreline may feed the terrestrial ecosystem and the small animals that live on land, but more research needs to be done to test this assumption. “Sea otters are a lens, a door into so many topics about ecology, the history of British Columbia, First Nations, interactions with other species,” Pinel says. From land or from a kayak, visitors can enjoy the various and sometimes comical behaviours sea otters engage in. 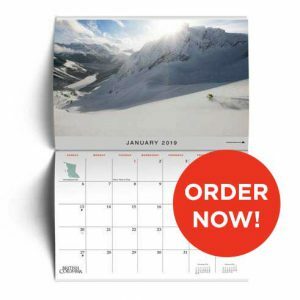 “People can connect the relevance of the sea otter story with some elements of being a human on our own and the various struggles for existence for staying warm, dry and feeding ourselves,” Pinel notes. Increasingly, the recovery of sea otters can attract tourist dollars. 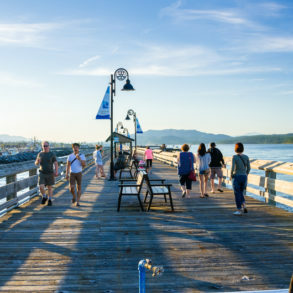 A recent survey of Vancouver Island visitors find that the willingness to pay for a wildlife tour was $228 per visitor if there was a high chance of seeing otters. In comparison, the equivalent figure for a high chance of seeing whales was $302. “The fact that sea otters are the second most important factor in people’s choice to go on a wildlife tour, after whales, suggests that people are really interested in sea otters and that there is potential benefit to tourism on the west coast of Vancouver Island,” says Rebecca Martone who led the tourism study as a research associate with the University of British Columbia’s Institute for Resources, Environment and Sustainability. Martone showed that the potential revenue to tourism operators would change by several million dollars based on changes in sea otter abundance. For example, if there were more sea otters in an area, this would translate into a 7.4 percent increase in tourists choosing to go on a wildlife tour with a high probability of seeing a sea otter. 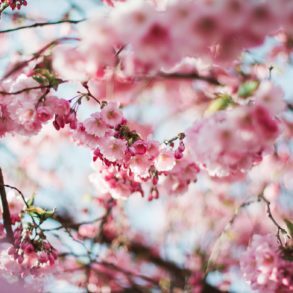 In this case, the estimated gain in potential revenue for tourism operators in the region would be approximately $9.5million per year. Martone noted that although tourists value the charismatic otters, the wildlife tour operators she interviewed did not perceive sea otters as a strong factor influencing their business. “There is a market share they may be missing by not advertising sea otters,” Martone says. Also, while Tofino-based tourismoperatorsmay benefit from increased sea ottertourism opportunities, these profits may not reach First Nations communities that are not part of the wildlife tourism economy and yet are often negatively impacted by the return of sea otters. The ecological changes the otters trigger have an economic cost. When otters are not present, sea urchins, abalone, clams, crabs, geoducks and other invertebrates increase in abundance, opening up opportunities for First Nations and commercial fishers to harvest them. When sea otters return, their insatiable appetite creates a conflict with the people who have an economic and cultural interest in shellfish. West Coast Expeditions is one of the only ecotourism businesses on Vancouver Island which is co-owned by First Nations, providing an opportunity for Aboriginal communities to benefit from sea-otter related tourism. During his tours, Pinel promotes cultural interactions between Kyuquot-Checleset First Nations members and tourists through a traditional salmon feast around an open fire. He also trains younger members of the community to become guides. For example, Ryan Sabbas, Hilda Hansen’s grandson, guides tours with Pinel on Spring Island, and is a graduate of Vancouver Island-based Aboriginal Ecotourism Training Program.